Ceiling are said to be simply the upper most part of the room which gives us a complete room or an architectural structure. 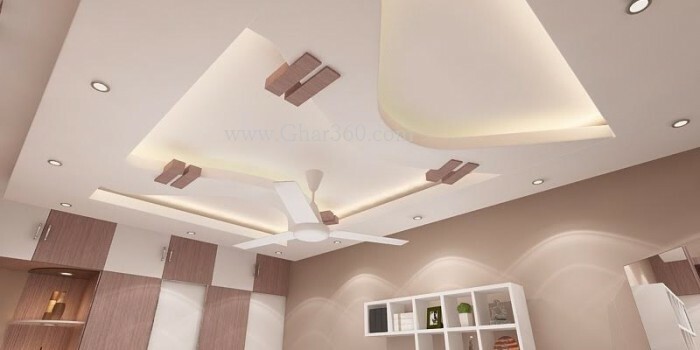 False ceiling is a way to design the simple ceiling in a sophisticated and elegant manner to bring in more of the attractive looks and completeness to the project or assigned room design. Not commonly found in every dwelling but definitely they survive in commercial complex like office, hotels, shops, restaurants, showrooms etc. They too exist in some rooms of a habitat like master bedroom, family room or living room area. It’s a signature of complete designing and décors. 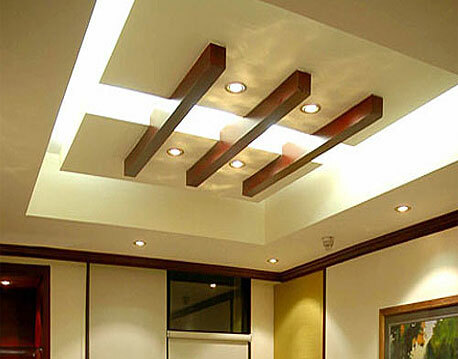 False ceiling brings in the spark to the rooms and spaces. 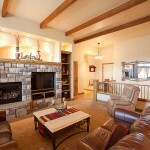 It is one of the ways to get desired ceiling designs and wonderful effects to accomplish your designing work. It not only connects the room with all the other elements of design but also connects all the structural architecture to each other and that too in a designed format. 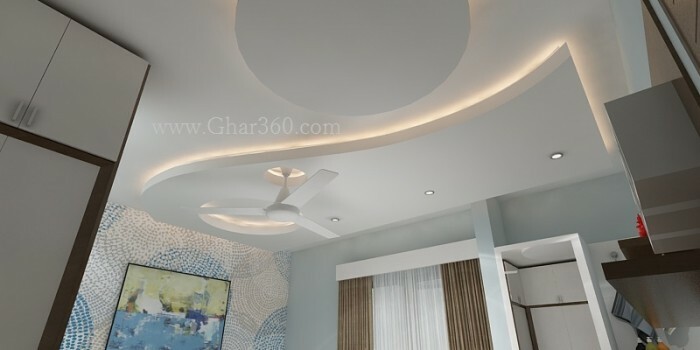 Days gone when false ceiling design were just made by gypsum boards or P.O.P (Plaster of Paris) that too it was a difficult process to work on but these days with the new trends and materials it’s easy to get desired false ceiling design by almost every material for example wood, glass, steel sheets, aluminum, any kind of fiber or plastics, textured materials etc. Get in the half false ceiling design or corner false ceiling design or full false ceiling design depending upon the respective room or space. 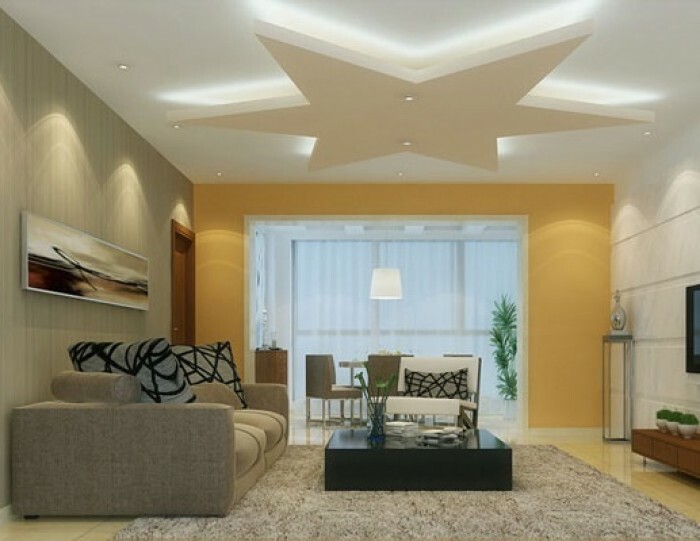 It’s not at all important to cover the full ceiling with false ceiling designs and décor’s. It’s optional and should be chosen accordingly. Go for trendy and simple false ceiling design like step designs, half sun designs, wood strips designs, semi glass design, half texture designs etc. 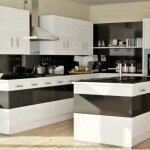 They are quite elegant, simple and sober to design your formal and informal spaces as well. 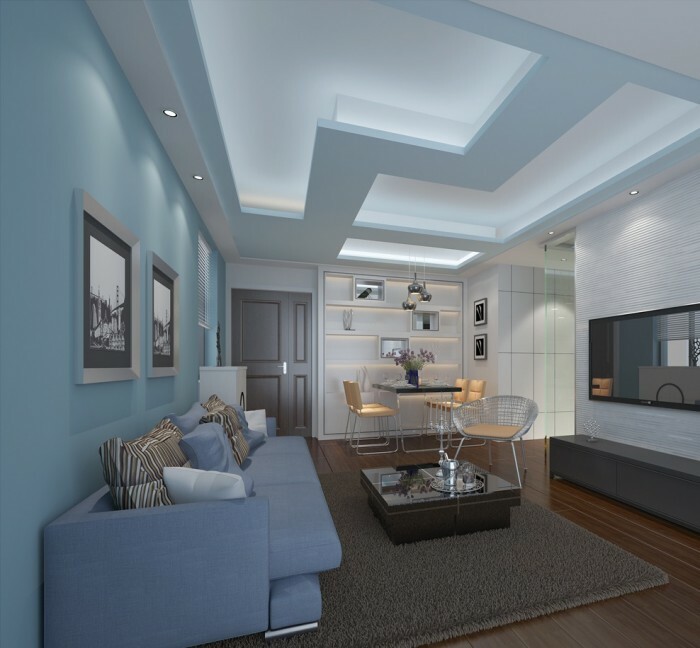 False ceiling designs also helps covering damp and damaged ceilings, ceiling with different kind of patches, cracks, smoke marks, etc. 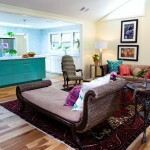 It’s a way to renew your old rooms and convert them into a darling space. 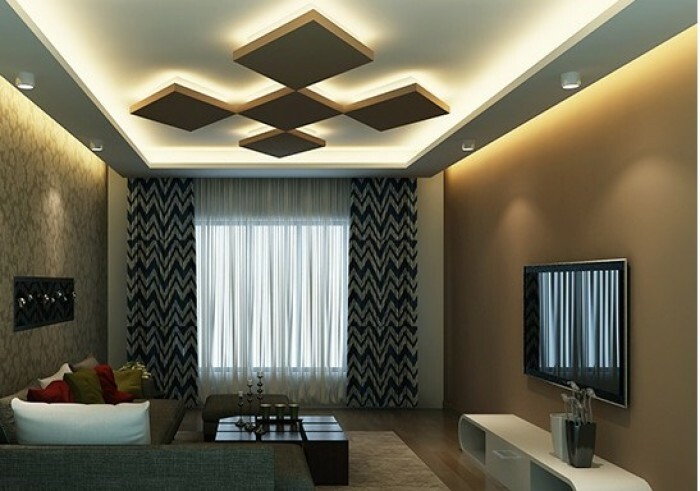 False ceiling design also help is managing the room height and appearance. 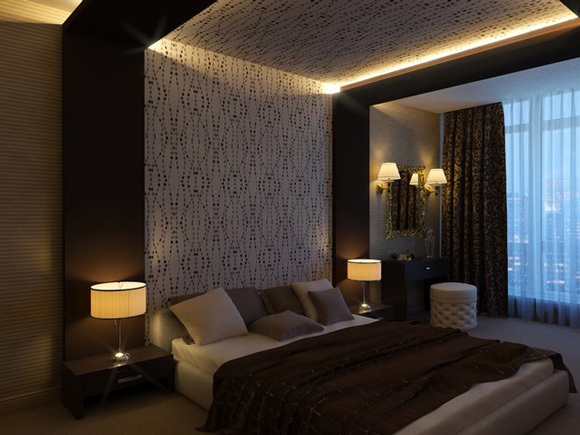 If you are struggling with very tall room then you may stuff in its height with the help of false ceiling. 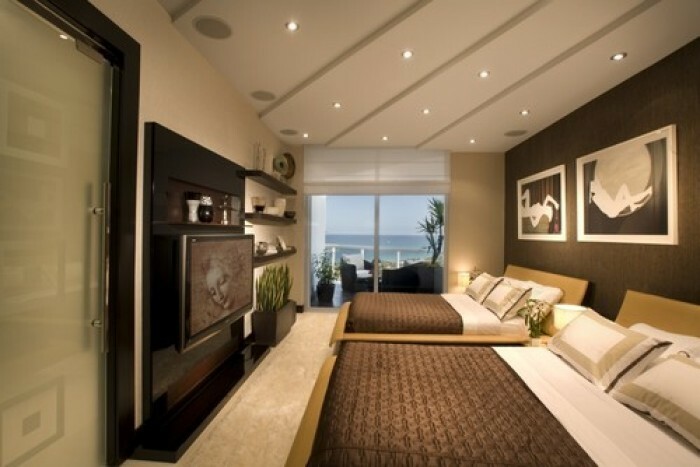 This manner you get a wonderful room with a perfect height and an awesome design. 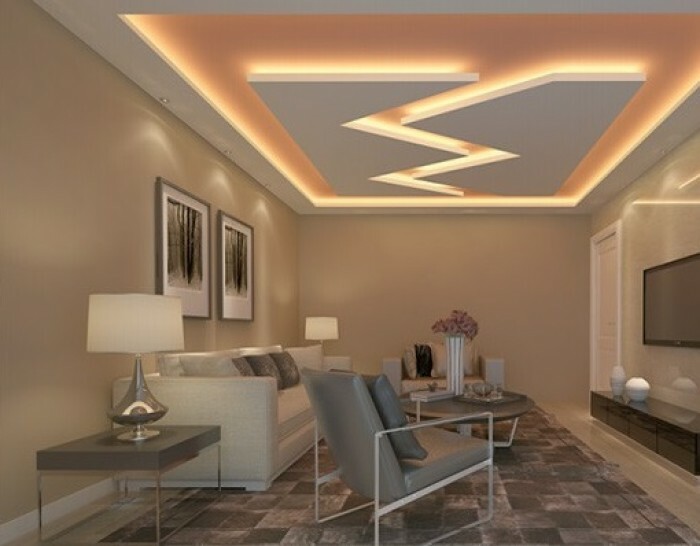 To get the complete effects of false ceiling designs do not forget to blend it with effective and aesthetic illumination and different kind of lightnings. A false ceiling design without light effects is a totally incomplete and unimpressive design idea. You need to mix well your designing, lighting effects and colors to get the correct and complete package of designed space. Few aesthetic and decorative artificial lights like spot lights, hidden lights, accent lights, target lights, etc. 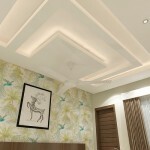 work well with every kind of false ceiling material and designing. 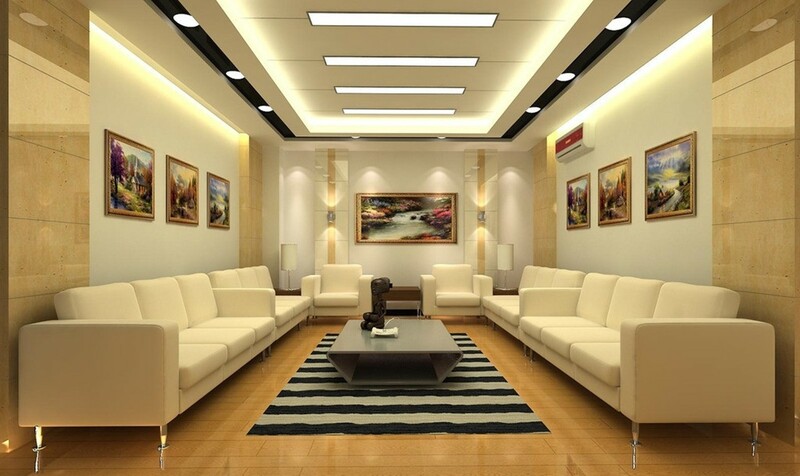 False ceiling design is almost the need of every commercial and residential project now days. It has become compulsive to inherent a ceiling design for an elegant and complete designing. 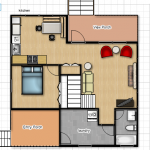 Even smallest of rooms, smallest of budgets, they too go for the complete package of interior designing which actually comprises with floor designing, ceiling designing, furniture designing, decor and accessories placement etc. After all it’s a sophisticated way of presenting your lifestyle, status, design idea and giving royal and connected look to rooms and spaces.